Less than a week left before camp opens! Hooray! The staff has arrived and we’re enjoying ourselves getting more and more ready for that first opening day. It’s very exciting! Hey! When are you coming? 6 Responses to "Almost time for Camp"
hey i can’t wait 4 more days till rbc third session!!! hey i can’t wait only 4 more days till the last session!!! I can’t wait for camp! It will be my 4th year going back and I can’t wait to do the fun activities and meet new friends! See ya there! this is my first year going to rockbrook i can’t wait i am so excited! 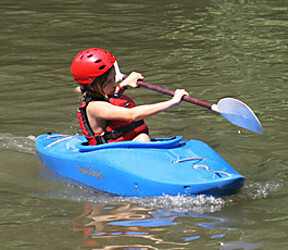 Adventure - Wilderness and outdoor adventure sports for summer camp girls like hiking backpacking kayaking and rock climbing. 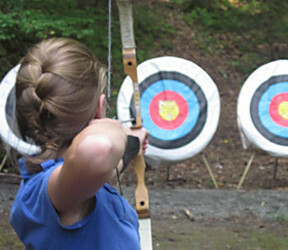 Archery - Archery camp activity for girls at Rockbrook includes instruction in equipment care, shooting technique, and scoring. 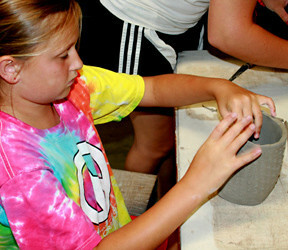 Arts - Arts camp activities include ceramics, fiber arts, painting, drawing, leatherwork, needle point, beadwork, jewelry making, and crafts. 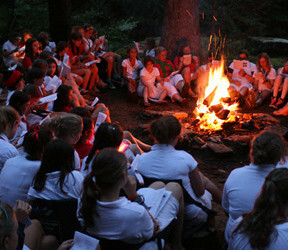 Camp - Camp provides children unique personal development benefits through its programs, philosophy, traditions and history. Campers - The campers who attend girls summer camp Rockbrook are 6-16 years old and are primarily from the southeastern United States. 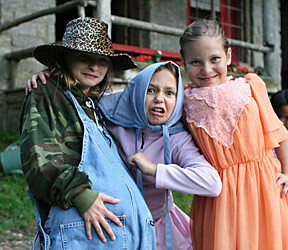 Children - Children ages 6-16 attend summer camps at Rockbrook Camp for Girls in Brevard North Carolina. Counselors - Counselors work teaching activities and serve as mentors for the children at Rockbrook Summer Camp for Girls. Dance - Dance, including modern tap jazz and ballet, is a fun way for girls to be active at summer camp. 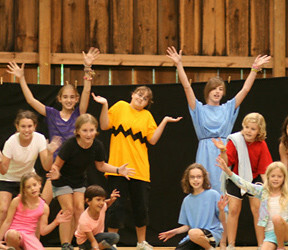 Drama - Drama activities and producing our camp play provide creative performance opportunities for girls at Rockbrook. Equestrian - Rockbrook Camp equestrian activities and equine studies form the core of the horseback riding program at camp. Games - Playing games at camp is a big part of the fun girls enjoy everyday while in their activities and during periods of free time. Girls Camps - The overnight girls camps at Rockbrook are designed for all girls ages six through sixteen, or 1st through 10th grade. Gymnastics - Gymnastics camp activities, training, fun and sport are popular with many girls at Rockbrook Summer Camp. 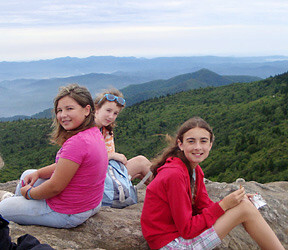 Hiking - Hiking and backpacking in the woods are favorite outdoor activities for the many girls at Rockbrook Camp. 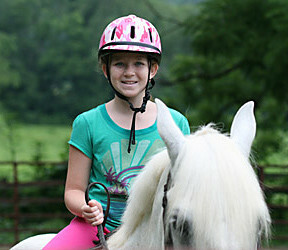 Horseback Riding - Everything about the horseback riding program, horsemanship, and horses at Rockbrook summer camp for girls. Kids - The kids sleepaway summer camps at Rockbrook provide big fun, constant creativity and adventure for kids ages 6 through 16. Nature - Daily encounters with Nature and the natural world provide rich opportunities for girls to expand their imagination at summer camp. 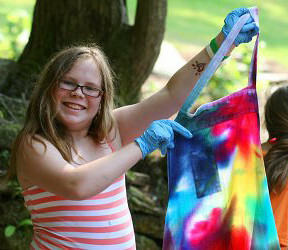 News - News updates about the latest happenings, events and surprises at Rockbrook Sleepaway Summer Camp for Girls. 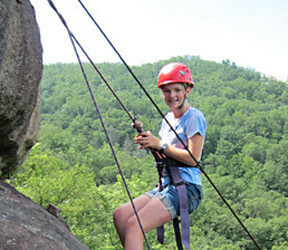 North Carolina - Information about Rockbrook's North Carolina camps, regional and statewide camp facilities and features. 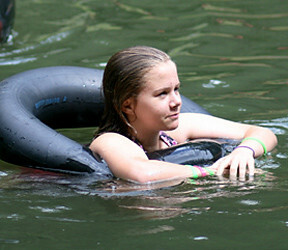 Outdoors - Rockbrook is an outdoors summer camp for girls with outdoor adventure activities offered in nearby wilderness areas, forests and woods. 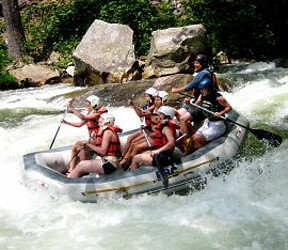 Rafting - The whitewater rafting, boating and paddling trips to local rivers are popular adventure activities at Rockbrook summer camp for girls. Riflery - Riflery and marksmanship activities including safety and shooting techniques at Camp Rockbrook for Girls. Rock Climbing - The rock climbing, bouldering, traditional climbing for girls, kids, children and teens at summer camp Rockbrook. Summer Camp - Information, thinking and ideas about summer camp drawn using examples from Rockbrook Camp for girls located in the mountains of Brevard, North Carolina.